…it’s OK to say NO. It is. Really, I promise. It’s OK to say no to the things that don’t fill your tank, to the things that don’t bring you joy and that take you away from what matters most. If you’re reading this blog and you don’t know me very well, I’ll tell you a few things about my life so that you can put all of this into perspective. 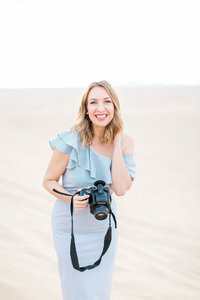 I’m a wife, mom to 3 kids (ages 9, 8 and 2) and a own a successful wedding photograph business. I also volunteer at my kid’s school when I can, lead worship at my church and I just opened a studio. I cook, I clean, I chauffeur, I do laundry, I help kids with homework 5 days a week. There’s ballet, musical theater class, garden club, chess club, industry events to attend, social media accounts to manage and a blog that always needs more attention than it gets. I do birthdays and holidays and a million other things JUST LIKE YOU. I rarely have time to see my friends, let alone date my husband or even just take a bubble bath. It’s not OK and something has to give. Do you agree? When you are saying “yes” to one thing, you’re saying “no” to another. I was recently asked to second shoot a beautiful wedding with a beautiful friend of mine. It was at one of my favorite venues and it sounded like a blast. I weighed every option and had to make the difficult decision that even though I didn’t have a wedding of my own on that date, I couldn’t join her. I have 3 weddings this month. 3 Saturdays that my children would spend without me. 3 lunches, 3 dinners around our new farm table and 3 bedtimes missed. Adding another had to be a no. I chose cooking with my husband and snuggling with my Littles on my one wedding-free weekend this month. That’s what matters most. If you’re in over your head and just can’t imagine saying no to anything, at any time, I’d highly recommend this book. It’s phenomenal, and helped shape my entire decision making process for 2016. I’ve said NO countless times, so that I can give my family my best yes. I hope you’ll try it. I’m so glad it was helpful to you, Chelsea! YES!!! I was just chatting with some biz friends about this the other day! Christina! Thank you for your comment 🙂 I love you, you fierce goddess! Thank you! No is a word I need in my vocabulary. 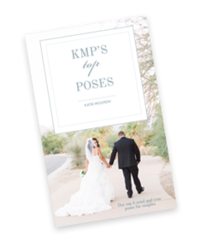 I miss my daughter & husband working wedding weekends… And can’t seem to say no to a photo shoot or anything else through the week. It’s hard. So thank you for opening my eyes! Ashley YES, you were spreading yourself too thin. Keep up the good work of NO!